How, how did you forget her PIN? How many times have talked about that? 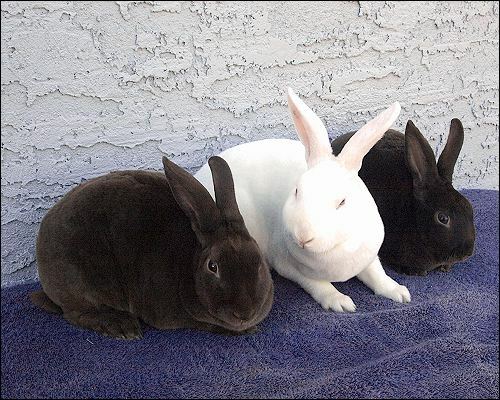 NOTES: Jessie, Sunset and Gretchen are three happy, gregarious and social bunnies who love pretty much everything! They love people, they love food, they love their hay, they love their toys, they love their playtime, they love each other…they are just FILLED with nothing but love. Jessie, Sunset and Gretchen are siblings to Jane, Lydia, Skylar and Sunrise. Oh my - triple stink-eye! The extremely soft but ever so effective type!